In my experience of owning generations and generations of cats, i came to the conclusion that cats have their own way of showing grief if any at all. Some cats will mourn the loss of their companion who is either a cat, dog or a family member. Once there was a close bond between the deceased and the cat, the cat will feel the pain and may show it in many ways. Cats may also grieve for other reasons like being away from their human for a long period of time, maybe they have to be put up for adoption for some reason or moving to a shelter. Cats grieve in many ways and you have to pay full attention to their behavior in order to pin point whether or not they are grieving. Your cat may be in so much distress that he may not even want to eat or drink anything. This can be very harmful for your cat if he stays without food for more than three (3) days. No food can cause damage to the liver and they can die, so be sure to see your vet if your cat doesn’t eat for 24 hours . If your cat shows this sign then he may be grieving. A cat that has lost his companion may not have the urge to want to play or show any kind of interest in any type of physical activity. You may notice a change in their sleep pattern, they may sleep for longer periods of time or not at all. Your cat may experience vomiting and diarrhea due to depression. The best way to help your cat is to give them lots and lots of love and attention, even more than what you will usually give. Losing a loved one is very hard, it’s hard for us to lose someone we love and care for and who is very close and dear to us. It’s the same for cats, they all have a grieving process to go through which may vary in time from two weeks to six months. Allow them to go through this process. If the cat is grieving, then more than likely you will be grieving too so the reaction you give off will have a great impact on your cat as well. Try not to show too many emotions when you are around your cat. Cats are animals of habit, they don’t like change. If it’s possible, it will be best to keep their normal routine in feeding, play time and sleep time. 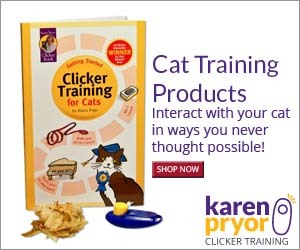 Once you keep this continuous, your cat will feel less disturbed and disoriented. If it is not possible because of the situation then try to slowly introduce new changes. Changes depend on your cat’s behavior, if your cat continuously goes to the room or space where the deceased used to be then leave things as they are. Don’t try cleaning up the area, the scents of the person or animal that died will eventually fade and the cat will be able to gradually accept the loss. If on the other hand your cat refuses to step foot in or next to where the person or animal used to be then go right ahead and clean the area. In some cases where cats have lost their human companions and have to be adopted by a new person or family member the cat will take longer to adapt to the changes around him. If you are in this predicament then the only thing that you can do is be very patient with your new feline friend and give him all the time he needs to accept you as his new owner. To make this transition a little easier for him, spend a certain amount of time every day with him showing your love and affection by patting him and stroking him. If the cat refuses to come close to you then just leave him and allow him to get used to you in his own time. If you can’t touch him then talk to him everyday and reassure him that he is in a place where you will take care of him and love him. If you have tried all the above and you think the time frame has been very long and your cat is still showing all the signs of grieving, seek medical attention. Visit your veterinarian to rule out any other problems and maybe they will prescribe medication for your cat to cope with stress and anxiety.